Are you tired of using such voice changer software which doesn’t offer with the needed options to match with your creativity? Are you looking for an amazing voice changer software that can simply be the solution for all your needs and requirements of a voice mastering tool? 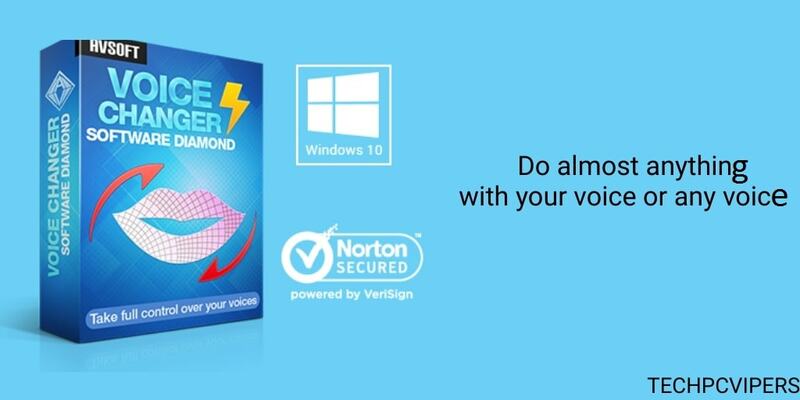 If yes, then you surely must try this simple yet all-in-one package called – AV Voice Changer Software Diamond. This is an all-in-one voice mastering tool which is offered by Audio4Fun to turn your system into a home recording studio, CD/DVD maker and not to forget into a music machine. Let us know more about this software which offers enormous options to play with your voice modulations. Talking about this voice-over delight, it is specially designed to let users play with the creativity of their voice. It allows the users to change their voice in real time while changing it either in the same gender, opposite gender or virtually to any voice. Along with this, it also lets the users to process all the pre-recorded audio files in abundant batches as well as handling all the other audio tasks. With the experience of more than 20-years, this software can eventually handle all your needs and desires concerning the various audio activities. Excited to explore the various features that you can get with this software? Well, let us quickly have a look at them. With the use of this software, add in any effects and designs to your voice to modify it just the way you like. Get complete access and modification authority of every characteristic of your voice. Get over the age, gender and voice effects and make your voice deeper, higher, more feminine, more masculine, younger, older or anything that you like. 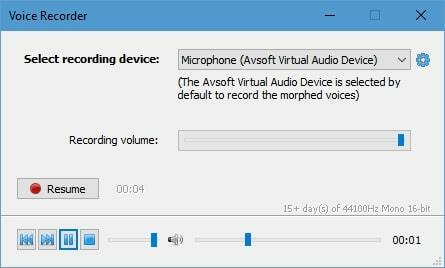 You can also use this software as a voice morpher to get complete access to the extended voice morphing process. 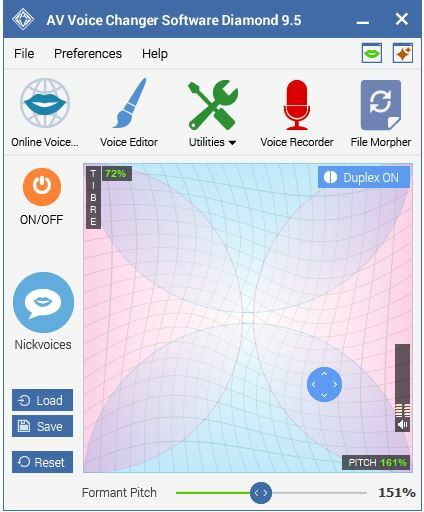 The enhanced voice morphing process includes voice attributes, voice beautifying, advanced settings, etc. To make this feature even more delighted for the users, it also comes with the benefits of file morpher. 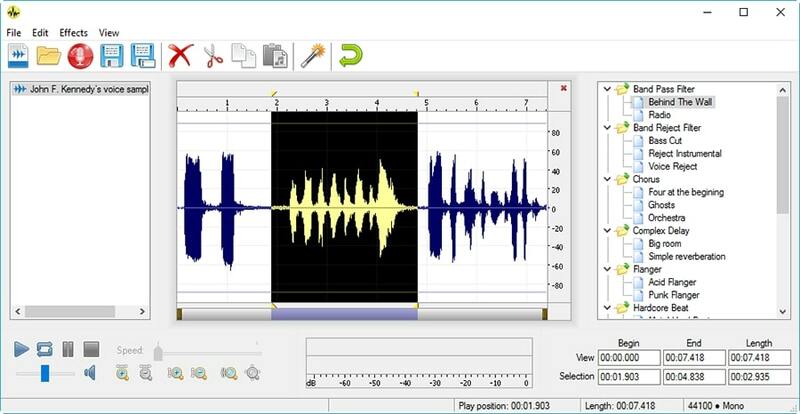 With this, the users can quickly morph and convert the audio files in batches at the same time. This really saves time and makes the entire work done super quickly. If you are thinking that voice recording available in this voice-over software would be similar to what you have been using, then its clean design would be a delight for you. Use the available microphone to record your voice or the voices from any VoIP programs, Internet radio as well as from the playback music clips, etc. Thanks to its clean design, every recording tasks really becomes an effortless and totally fun experience. Just like your nickname makes you distinguished from the crowd, the Nickvoices available in this software makes it stand distinguished from the other options available. The Nickvoices are the existing and ready-to-use voice pieces which the users can use for any personality or audio related work. 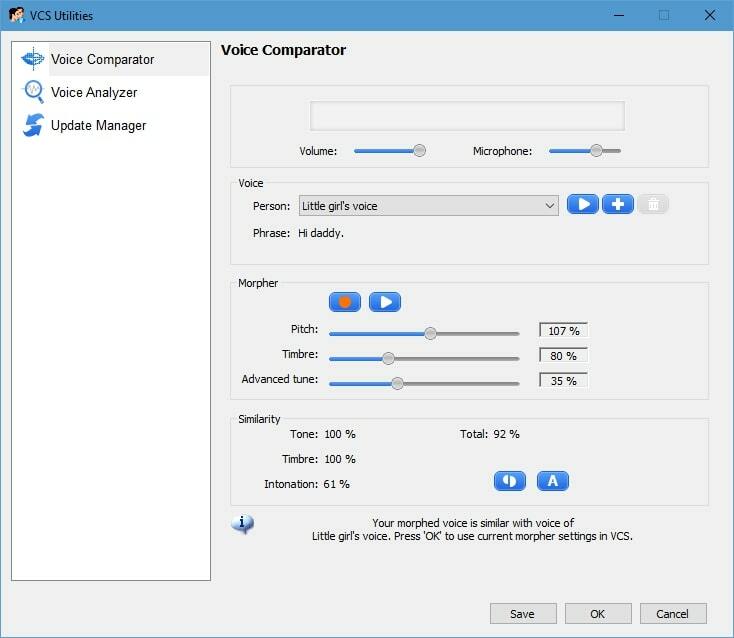 By making use of the in-built hotkey support, you can easily switch between the available Nickvoices and the present voice note. You can choose your desired nickvoice from hundreds of options available. Your innovations and creativity with your voice modulation are not just limited to voice morpher benefits, but it also extends to the feature called parody mixing. 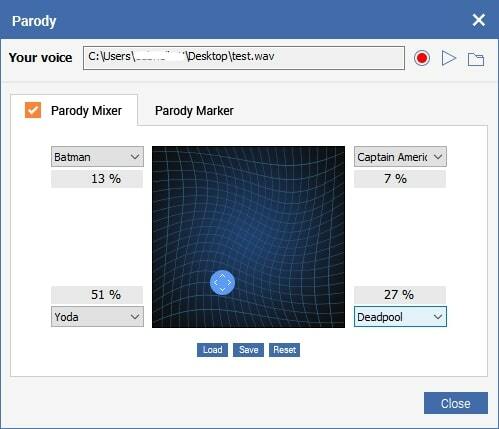 With this feature, you can actually mix different parody voices to create your very own new parody voice. With this, you also get the chance to mimic other people’s voices along with imitating Bollywood’s stars voices as well. This is quite an interesting feature that you can use. With this feature, you can quickly import someone else’s voice and then compare it with yours to find the similarities and dissimilarities in the two. This feature gives you a detailed analysis report on the voices that you are comparing and after that the full benefit of quickly applying the voice imitation feature. By making use of voice comparator, you can get every detail on the perfect note during changing it or morphing it. With so many amazing features, you will never get enough of everything. Aren’t all these features really amazing to get in any voice changing software? 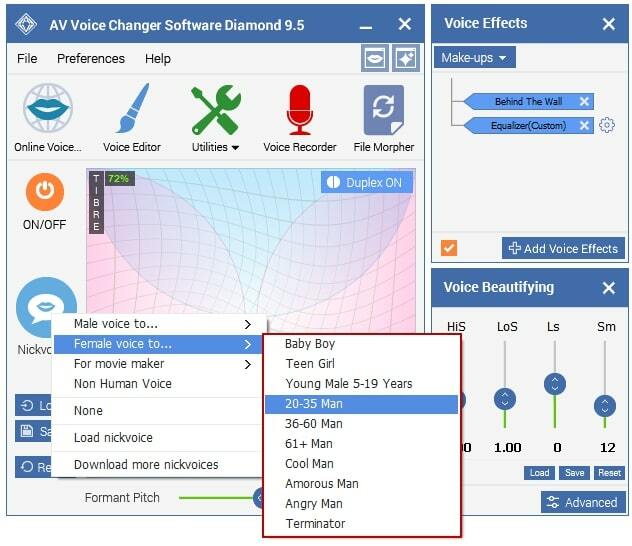 Well, this is the AV Voice Changer Software Diamond for you. This software is so made to offer all the required tools to its users so that they can create their own recordings in the best quality. This is not just software for voice change but it is the only voice change software that you need. Without any doubt, you will totally love all the features and simple functioning of this amazing software. So, when are you trying it? In case, you still have any concerns or questions related to this audio4fun product, you can write to us by commenting below. We will get back to you with the best possible information possible.